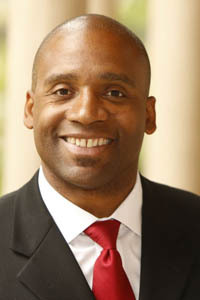 Ainsley Carry serves as Vice President for Student Affairs and joined the University of Southern California in August 2013. He holds a faculty position in Rossier School of Education. He has been in college administration since 1992 serving in leadership positions at Southern Methodist University, the University of Arkansas, Temple University, and the University of Florida. Prior to joining USC Dr. Carry served as Vice President for Student Affairs at Auburn University. Dr. Carry is a graduate of the University of Florida where he earned his Ed. D. in Higher Education, M.S. in Counselor Education, and a B.S. in Food and Resource Economics. He also holds an MBA from Auburn University.